Facebook announced a new feature on Jan. 16 via blog post, Trending. A news section that features popular topics and hashtags that are being shared across the network. 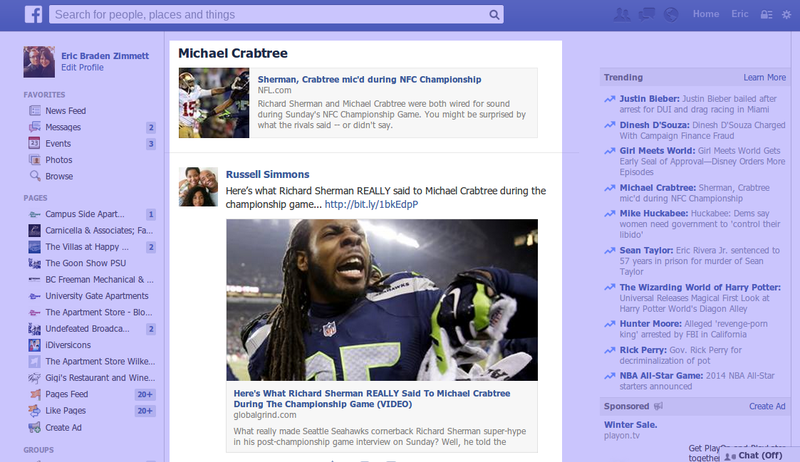 Selecting a Trending topic from the list displays a feed of conversation, including activity from your Facebook friends. Trending appears to be a move by Facebook to be more relevant in news, much like Twitter’s Trends, leaving an option open for Facebook to promote trends (also just like Twitter). Facebook also recently adopted Hashtags, though that feature seems slow to catch on. 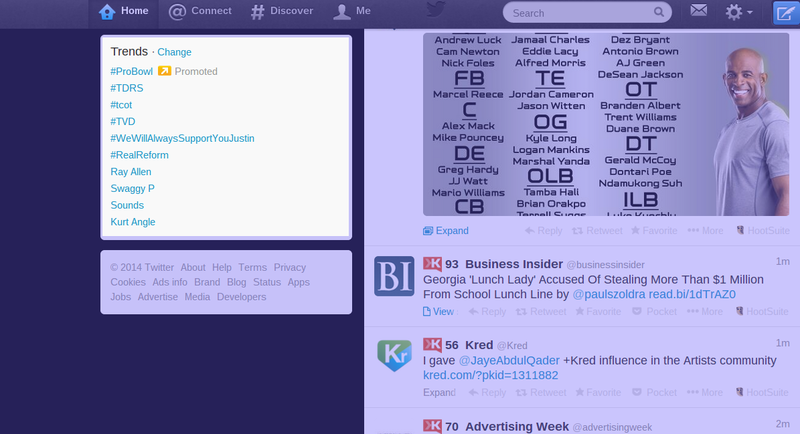 Twitter Trends, including a promoted #ProBowl topic, from @nfl.